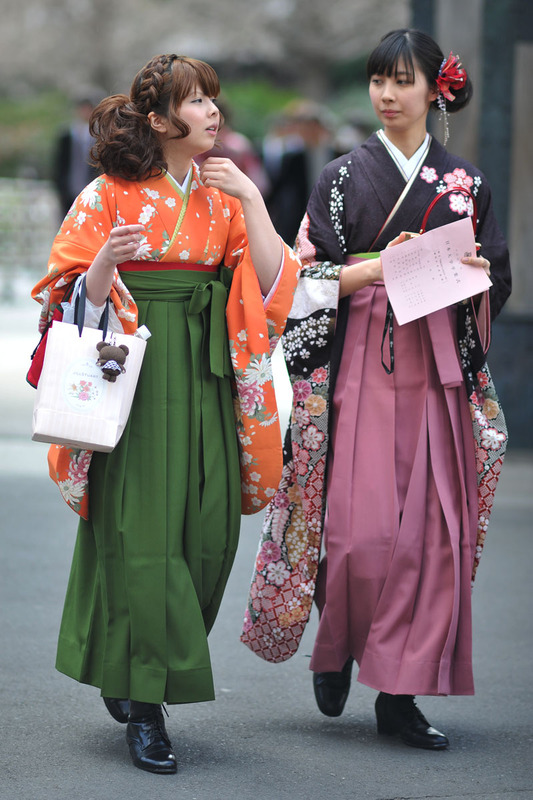 The yukata is the classic summer dress for both men and women here in Japan and I guess it is possible to think of it as the informal kimono. 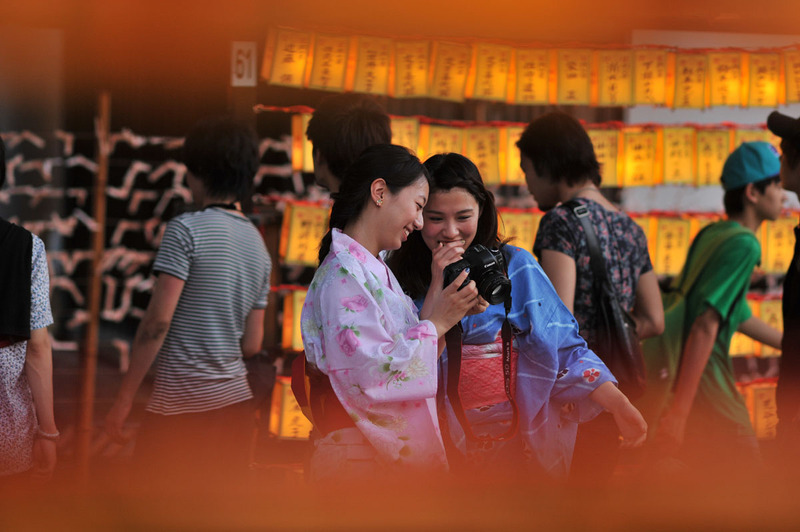 You know it is summer when you see the first yukata worn casually! They are especially common in more traditional events such as festival and dances but some people like to wear them to the beach even. Tying the belt (the obi) of the yukata can be as complicated as you can make it, or as simple as clipping on a belt, these days there are many varieties available in stores. It is also traditional to wear sandals, but you will often see kids with sneakers or even adults with flip flops or boots these days. 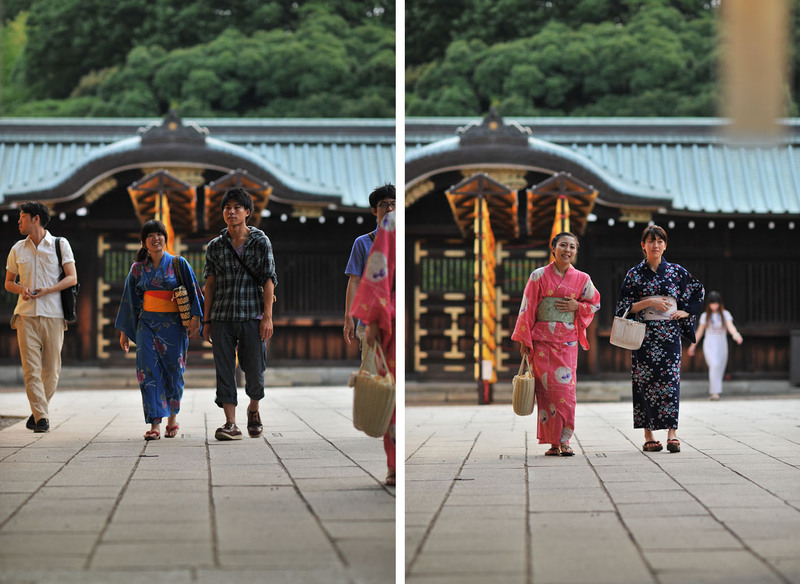 I took these photos of ladies in everyday yukata at the massive Mitama Matsuri at Tokyo’s Yasukuni shrine in the Kudanshita district. 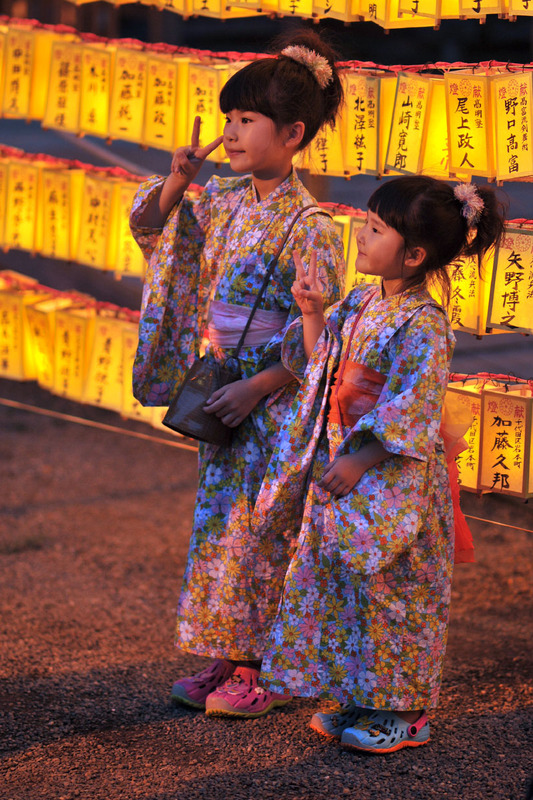 A lot of people took the opportunity to pose next to the very attractive yellow paper lanterns! 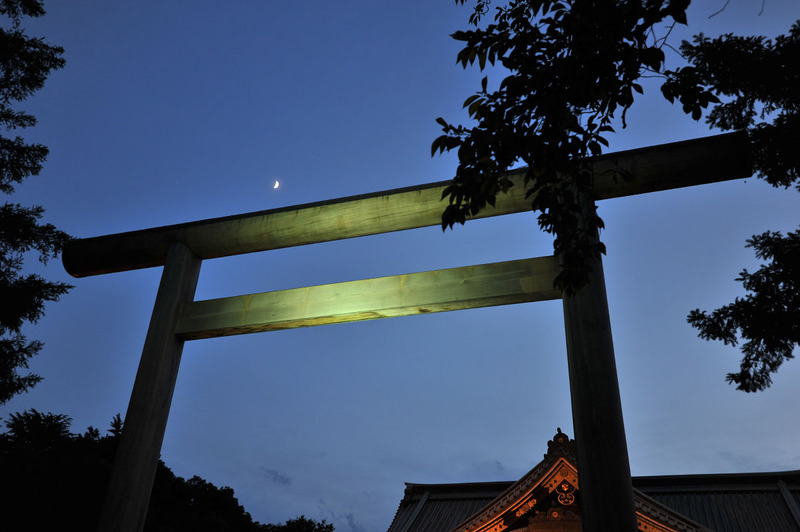 This is one of my favorite Tokyo festivals, held in July every year for several days. 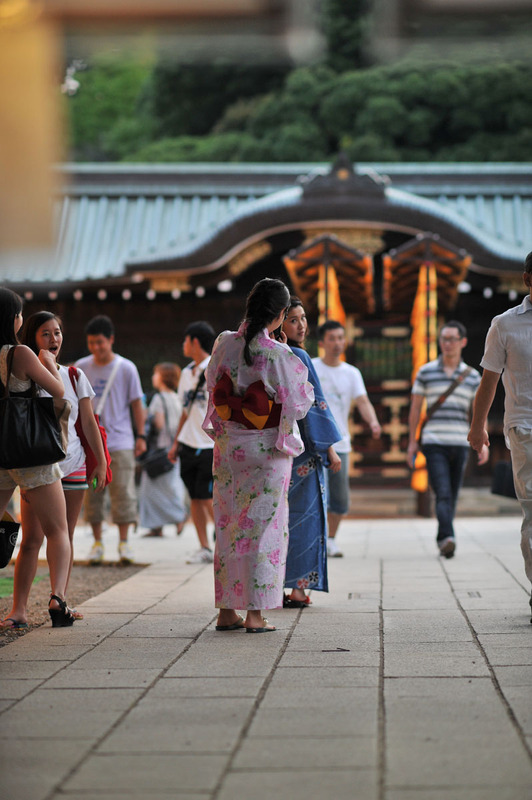 In the old days, Yukata was only indigo-blue pattern on white. I love the the two little ladies–and pleased (for them) that they have different-colored (but perfectly coordinated) obi. I think that imouto-san looks like she is ready for some mischief!! Amazing as always!! Nice framing! !